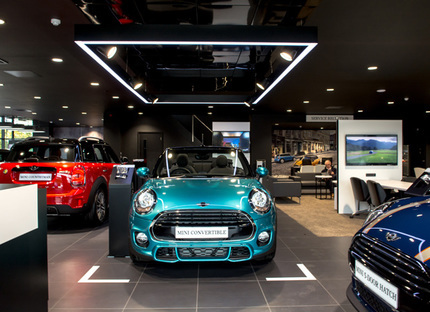 The Principle team were responsible for the interior branding elements of the MINI rebranding project. Going from technical design development to a finished showroom in 4 weeks, through the prototyping and approvals process. Principle worked with pace and agility alongside the MINI team to meet their business objectives, before rolling out to a number of sites as the re-invention was activated across the network.